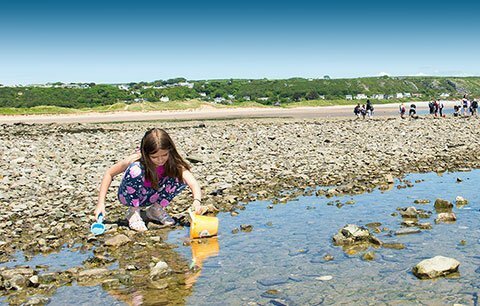 Make the most of our bountiful supply of soft golden sand and build castles or create beasts, sea-creatures and other spectacular shapes. For inspiration and ideas, watch out for sand sculpture events across Gower throughout the year. Or go beachcombing for aquatic art supplies and create unusual items with a real flavour of the sea. You’ll find salt-bleached sea-smoothed driftwood, colourful sea shells and all manner of fantastic flotsam washed up in the peninsula’s bays (try Rhossili’s Atlantic-facing shore for the most unusual items). Our coastline is an endless source of inspiration. 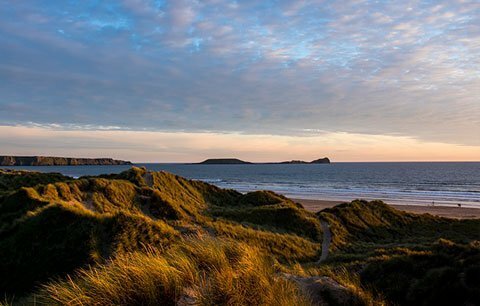 Painters and photographers are drawn to dramatic seascapes like Rhossili’s sweep of sand and waves, the ghostly saltmarshes at Penclawdd and Three Cliffs Bay’s picture-perfect shoreline. Galleries and craft shops everywhere – especially in Mumbles – display evidence of this inspiration. Writers have felt the force too. Local lad Dylan Thomas described Gower as ‘one of the loveliest sea-coast stretches in the whole of Britain’ (possibly before he was marooned on Worm’s Head for the night after missing the tide). His friend, the poet Vernon Watkins loved to sit at Pwll Du and regularly peppered his verses with references to the peninsula.